Bread and Butter started in 1986 by the Dela Cruz family as a small bakery in Kalibo, Aklan. For more than 2 decades, the Bread and Butter Franchise has been the go-to bakery of the people in Western Visayas and the Southern Luzon region for their high quality bakery products and food services. 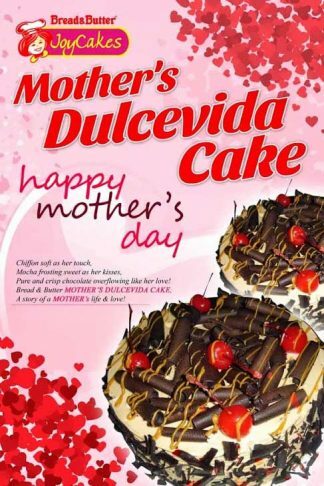 As demand of the Bread and Butter products grew, the Dela Cruz family ventured into franchising in 2003 which lead them to become the leading bakery in western Visayas. As a testament to that, Bread and Butter received several awards in the franchise world such as the prestigious Presidential Awards for Outstanding Franchise – Visayas for Most Outstanding Bakeshop and the SME Model by Bank of the Philippines with DTI and is recognized by business magazines like Entrepreneur Philippines. Franchising Bread and Butter can prove to be a good investment because of its solid, award-winnig yet humble background. If you think you’re not still in to the franchise, check this out. The Bread and Butter franchise has an initial investment of 700,000 pesos to 1,000,000 pesos with a franchise fee of 150,000 pesos + VAT which is relatively cheap. They have a royalty fee of 3% and a marketing and advertising fee of 2%, all this in a renewable 5 year contract. It is one of the franchises that you’d actually spend less and earn more quickly. Standard franchise package includes the franchise fee, store improvements, equipment, furniture and fixtures, inventory system and initial inventory. Did I say that you’d earn quickly? The estimated return of investment for Bread and Butter franchise is 18 months to 24 months. This is relatively fast for a big franchise and seems to be a sound investment for the businessman who wants a stable profit and a growing network of loyal customers.